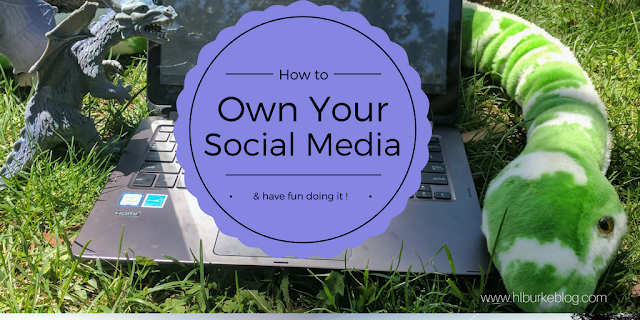 How to Own Your Social Media -- and have fun doing it! For the average person, social media is "fun," or at the very least a time-waster. Something they do in their leisure time, while waiting in lines, on coffee breaks, instead of talking to the person across from them at the restaurant ... (you know who you are). For a lot of authors, though (and I'm sure other creative/self-employed folks), social media swiftly becomes work as they feel they have to post so their followers know they are there, are aware of their new releases ... a lot of authors absolutely loathe this part of modern marketing. They feel it comes across as bragging. They worry they aren't interesting enough. Keeping up with so many social media platforms can swiftly become confusing and overwhelming. It's no longer play. It's work. So what do you do about it if you are burned out author who knows they need to interact with their readers on social media but absolutely can't stand doing another post? Social media should be fun! It should be the thing you do to chill out/relax/decompress. That's what every sane (read "non-author") person does with it (well, except for the ones who go online to argue about politics, I guess ... and the drama queens ... and ... never mind, I stand by it, SANE people go on social media for fun.). So if maintaining your author social media has become a grind, but you still feel obligated to keep up a regular posting schedule, what can you do? Here are some easy things you can do to provide easy content that readers will love and which you might even enjoy posting. Disclaimer: not everything on this list will fit every author or author platform. However, I have tried to provide a wide variety of adaptable options, so I have a hard time believing none of this will work. Don't feel you have to do all of it, and none of this is a "you must follow these ten easy steps." It's a flexible format which you should adapt to your personal taste and the tastes of your readers. Trick One: Make Mine Music! Now I know a few talented authors who take this to a creative extreme: composing music related to their work, going "live" on Facebook playing instruments, posting youtube videos of them singing ... but even if you aren't gifted musically, if you are a consumer of music, you can use this to connect to your readers. 1. Create playlists for books. If you listen to music while you write, you may already have these set up. Share them! 2. 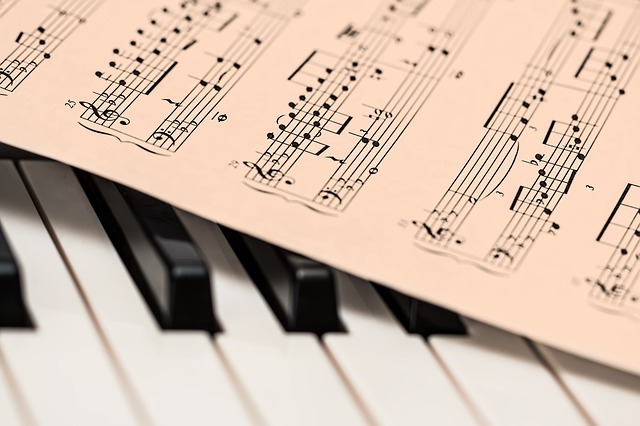 If a song inspires you or something in your story, share it with an explanation! 3. Do your favorite characters have favorite songs? Share that. Similarly to music, some authors will have an edge up on this. If you paint, crochet, knit, sculpt, do paper cutting ... anything artsy, readers will love this, as long as it is related in theme or content to your books. So yeah, if you are a romance author with cute books with loving couples and long romantic walks on the beach but you also really like to draw skeletons and monsters in your spare time, not a great mix ... but if you are a romance author who likes to draw beach scenes, flowers, candle light dinners ... or a horror writer who can draw skeletons ... you've got an in. 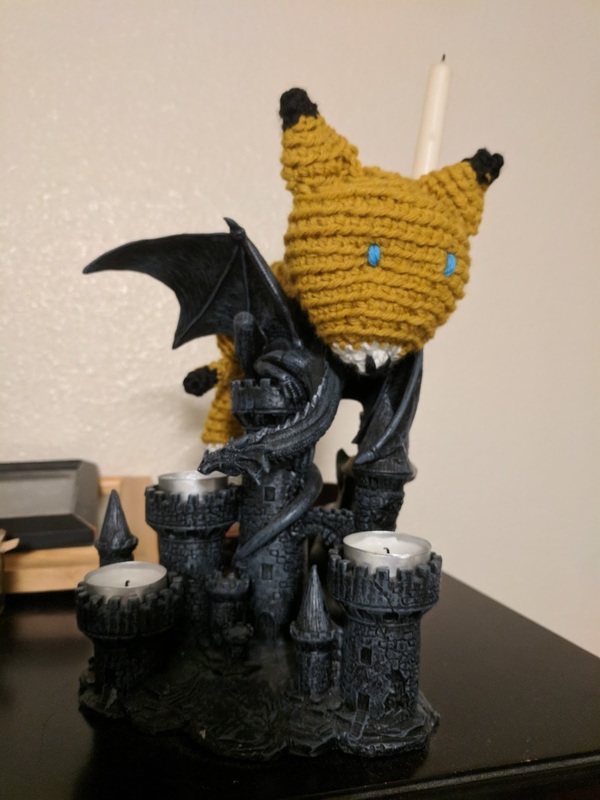 I crochet things. One of my characters has a pet fox, so I crocheted a fox. My readers loved it. A lot of them entered a giveaway to win it. Yay, fox! But again, if you aren't a creator of art, you may be a consumer of art. 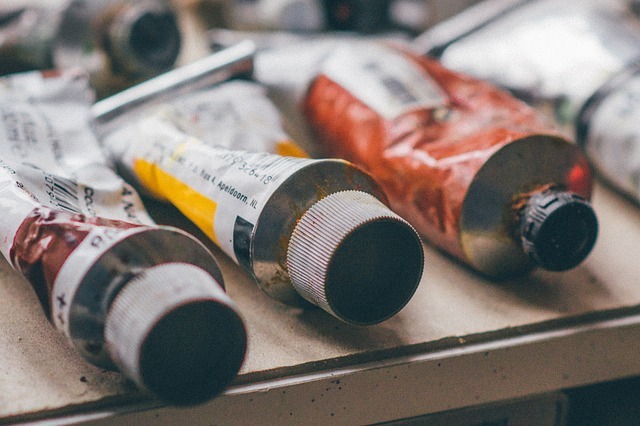 Etsy is a great place to browse for creative content that fits your brand. When you find something you like on Etsy (let's say a beautiful custom wedding ring, a ceramic dragon, a period cosplay gown), save an image to your computer and copy paste the link. I suggest uploading the image to social media and then including the link in the body of the text (because sometimes the platform won't pull the image reliably from the link, and you want that "eye candy.") but do make sure to link back and give proper credit. The creators like this because you might get them potential sales ... your readers like this because you're showing them something cool. A lot of us love online shopping, and while I personally like to support small business owners on Etsy, sometimes there is something so cool for sale on one of the big sites that is just perfect for my brand. So if I see something on Amazon I like that I think my readers will like or that relates in some way to my book, I share it. If I am walking around a store and I notice something on a shelf that works for my brand, I snap a pic and up it goes on Instagram. I know a LOT of people who use online shopping to blow off steam. Kill two birds with one stone, and share the experience with your readers. If you see a Facebook page that reliably shares original artwork/photography in an ethical way (try to hang out for a while and make sure they aren't stealing things and claiming the work of others as their own), follow them and share things from their pages. Most of the time, they put it on Facebook publicly hoping it will go viral, so as long as you are sharing from their page (with a link back and proper credit), they'll like that, and it's easy content for you. Twitter can be a particularly confusing one because of the strict character limit and the quick fire nature. Things slip down the feed in an eye blink and more notifications pile down to take their place. Maybe you want to get started, but don't know what to do. Hashtag games provide an easy way to "play along" and get notice from other people following the hashtag. Bethany A. Jennings at The Simmering Mind runs one called "WIPJoy" (Work In Progress Joys) devoted to sharing about what you're writing. #1lineWed encourages you to share a line from your book on a given theme on Wednesday. #ThemeThursday asks you to recommend books based on a theme assigned every Thursday. #1randomques is a Friday prompt which asks a funny or thought provoking question you can answer on behalf of your characters. There are probably thousands of these games going on at any given time on Twitter. If you hang out with Twitter active writers, you'll probably find some (#AuthorConfessions is one a lot of my writer buddies do). Pick one that seems like fun and just take a moment every day to reply, then check the hashtag and see who else is playing and what they are saying. 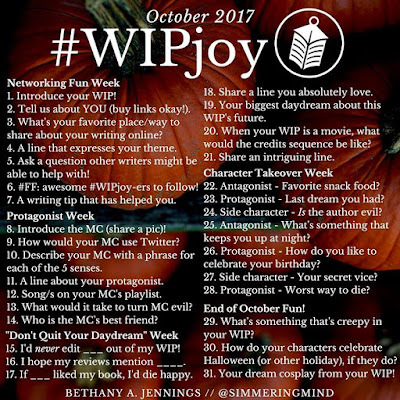 This is a tricky one, but if the social media you are having a hard time nurturing is a blog, then this can work for a few easy posts (assuming you are a reader as well as a writer) and can be a way to "give back" to other writers as well. If you are already in the habit of leaving reviews on Amazon or Goodreads, consider sticking them on your blog or social media as well. If you are into brevity, post a short review of the book on Twitter. A friend and fellow writer K. M. Carroll recently did a fun feature called "23 Books Reviewed in a Minute or Less." Most of her one minute reviews would fit into a tweet. Some potential pitfalls: while I've talked about why I don't think leaving a negative review generally is a 'no no', you probably don't want to get a reputation as one of "those" reviewers in writer circles. It can seem kind of snarky if you are talking down other writers, and it can lead to inevitable comparisons between your work and theirs, fair or not. So you may choose to focus on positive reviews, books you did like and think are a good fit for your readership, sort of a "if you liked my books, you might also like ..."
This can also sharpen your "also bought" section on your Amazon page which can help you reach the right readers. On a related note: I recently found out that if you are reading on the Kindle Ap, you can highlight and share quotes directly to social media. So if you're reading a book and want to share snippets on twitter or Facebook, it's really easy. This one also falls into "you might be doing this anyway, so you might as well share it." Do you collect images that inspire you? Pictures of actors/models who you use as references for your characters' appearance? Do you research anything interesting for your work? That's all great stuff to share, whether about something you are currently working on or something you are about to release. So those are seven easy things to do to get some social media buzz going ... none of them involve bragging. Most can be incorporated into your leisure time. There are a LOT of other things you can do. I might make another post on it someday, but these are some of my favorite. What about you? What sort of things do you like to share on social media? What kind of things do you like to see on pages you follow? Pretty much everything on the internet is stolen from somewhere else on the internet. It's kind of like the Borg. Collective consciousness and all that.